G’Day Casino’s undergone a few revamps and facelifts over the years. However, in amongst the change, one commitment has remained constant. This is an online casino that has always provided the best casino bonuses to its legions of regular players. 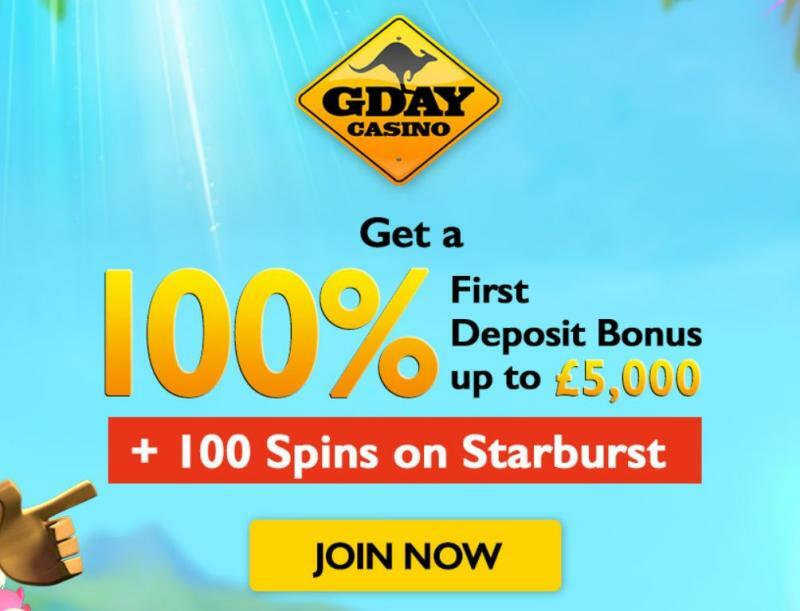 They have removed the gday casino free spins from the UK but they introduced an entire suite of regular, recurring bonuses for 2018, and you can take advantage of them all as many times as you like. Allow me to run you through them one by one – and I’ll also tell you more about Gday’s equally excellent welcome bonus too. GDay Casino’s approach to bonuses has always been refreshing. Their recent introduction of so many regular, weekday bonuses is proof enough. Some of the treats on offer are well worth snaffling week upon week. You can pocket starburst free spins, cash bonuses and more if you become a regular player and fulfil the criteria for each of the bonus promotions. It all starts with everyone’s least favourite day of the week. The first GDay Casino will help you banish those pesky Monday blues. Lift the gloom of the first working day of the week with a cheeky lunchtime gaming session or forget about the woes of the day by logging on in the evening. In fact, you can just do both. Why? Well because G’Day Casino will give you a 25% cash bonus with every deposit you make on a Monday. Yep, while most online casinos UK will only provide a daily bonus with your first deposit, GDay has a different approach. The 25% bonus means you will, for example, pocket £5 free cash when you deposit £20. If you’re feeling flush and can afford it, deposit £20 later in the day to receive another 25% cash bonus worth £5. Wagering requirements of x35 apply and you can stake a maximum of £5 per bet using your bonus cash. Next up is GDay Casino’s ‘Hump Day Bonus’, which is available every Wednesday. This little bad boy provides you with an opportunity to pick up a bouncing bundle of bonus spins in exchange for a deposit. The number of free spins you will receive corresponds directly with the amount you deposit. Make a £20 deposit and you’ll have 20 bonus spins to play with. Credit your account with £50 and you’ll pocket 50 bonus spins, which is the maximum you can earn as part of this offer. The bonus spins are attached to a selection of NetEnt slots of GDay Casino’s choice. The games tend to change from week to week, so make sure you check on the day that you deposit. The bonus offer is available every Wednesday on a recurring basis. Just make sure you make a deposit on a hump day to snaffle your bonus spins. Again, x35 wagering requirements apply to any winnings generated from the bonus spins and you need to use them within 10 days of receiving them. Gday Casino’s Sensational Sunday bonus provides you with an ongoing opportunity to collect a 30 % cash bonus when you make a deposit. Unlike the Monday bonus opportunity, you only receive this additional cash with your first deposit of the day. However, the maximum ceiling is a sizeable £100. A deposit of £330 will earn you the full amount. Again, this is a recurring bonus and there is no limit to the number of times you can take advantage of the offer. It’s the perfect tonic to end your weekend with a little bit extra for free. If you forget to snap up your bonus, you always have the Monday G’Day Casino cash bonuses as a back up as well. The same restrictions apply to the Sunday deposit bonus – x35 wagering requirements and you can stake a maximum of £5 on an individual bet. G’Day Casino has always offered a generous welcome bonus. It isn’t so long ago that they were provided players with a whopping 60 no deposit free spins upon sign up. 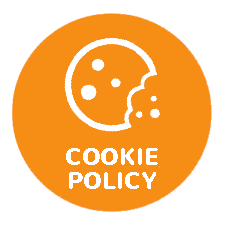 However, with changing rules and regulations, they have abandoned their no deposit bonus. Fear not, however. They’ve replaced it with a fittingly spectacular welcome bonus that is well worth its weight in gold, especially for high rollers (and the filthy rich). Here’s why. Your first deposit as a Gday Casino player is accompanied by a huge 100% bonus up to £5000. In other words, if you’re pockets are deep enough, you can deposit £5000 and then receive another £5000 on top. If you aren’t quite that flush, however, a minimum deposit of £20 will still trigger the bonus, along with a bundle of 100 Starburst bonus spins. That’s not all, neither. Both your 2nd and 3rd deposits result in further deposit bonuses and bonus spins packages. Find out more by visiting our G’Day Casino review page.